Last night, after grabbing a quick bite at Burger and some hot chocolate from Starbucks, our family decided to hit the road and explore. We were looking for the best Christmas Lights of Aptos (and Beyond), and we discovered plenty of eye-popping and heart-warming displays throughout 95003. You’ll find a slideshow with dozens of the best homes we found below. If you’re on NextDoor, check the app (and I assume web site too!) for their “Holiday Cheer” map. It will show you where users have said that homes are festooned with holiday lights, and it will be a good guide for finding such homes in Aptos and elsewhere. We didn’t actually end up using the NextDoor holiday cheer map much – my wife checked her iPhone and saw on Facebook where people recommended that you go to see some awesome Christmas lights. We ended up spending about 90 minutes driving around, through Seacliff, Rio del Mar, Mar Vista, Capitola, and Soquel, listening to Christmas music on the radio and sipping the hot cocoa. Amazingly enough, the kids spent the time happily, with lots of “oohs” and “ahhs” and nary a mention of wanting to play XBox or jump on the iPad. And the best part is, when we finally rolled into our driveway, one of the boys had already fallen asleep and the other was well on his way. Visions of sugar plums, I’m sure, were dancing in their heads. T’is the season, once again! The Aptos Holiday Tree Lighting is Back for 2016, to be held on Saturday, December 3rd from 2PM to 5 PM at the entrance to Aptos Village Park. As in years past, there will be Christmas carols, free hot chocolate and cookies, and a visit from Santa Claus – and more! If December 3rd should prove too rainy, the event will be held instead on December 10th. There will be some great entertainment on deck too, with performances by the Sam Nigh Band and Kristy’s School of Dance. And of course, there will also be a craft fair, with a number of local vendors participating including the Girl Scouts, 2nd Harvest Food Bank, Monterey Bay Gift Company, and many more. Put it on your calendar and come on down – it’s a great time to mix and mingle, meet friends and neighbors, and get into the spirit of the season. Hope to see you there! Nobody’s dreaming of a white Christmas in Aptos, and with good reason! Yesterday it was 69 degrees in Aptos, two days before Christmas, with sunny blue skies. In fact, it was downright balmy last evening when I stepped into the back yard to pick a couple of those small red Asian chilis I have growing out in the raised beds I built this summer. A couple of days ago, my sister Amy and her family arrived from Boise, and I wanted the chilis for the vegan Thai pumpkin curry I made last night. We had spent Thanksgiving with my sister’s family in their cabin in Idaho City, and that was loads of fun. Now they’re here for Christmas in Aptos, and it’s great to have a house full of happy kids screaming, shouting, and crying over toys that don’t want to be shared. Yesterday I spent an hour with my kids walking around our neighborhood dropping off Christmas sugar cookies we’d baked that day. My son Evan, the 3-year old, was so excited, he walked right up to every door with a bag of cookies in his hand and knocked determinedly with his little fist. 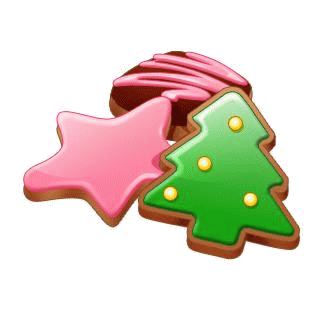 When the door opened, he would thrust the bag of cookies forward and say “Merry Christmas!” with genuine enthusiasm – it was so cute to see, especially because Evan can be pretty shy around strangers. One fun thing we did this holiday season was help organize and participate in the Cash Mob at Le Chef Kitchenware in Aptos. We could only stay about 20 minutes, and in that time a few folks from our community came to do some shopping with us…I’m not sure it actually turned into a mob, but every little bit helps. I look forward to doing another Cash Mob with the folks of Aptosia soon. We didn’t send out any Christmas cards this year, because this year, I thought I’d try something new. I’m going to call everyone on our Christmas list and wish them a Merry Christmas and a Happy New Year. I started a couple of days ago, and clearly I’m not going to be able to reach everyone before Christmas, so a lot of folks are only going to get a heartfelt wish for a Happy New Year. It’s been great talking to so many people already – it’s really so much warmer and more engaging than a Christmas card, I think I’ll do it again next year. If you haven’t received a call from me yet – it could be because I don’t have your phone number! If you suspect that might be the case, we’d welcome a call from you! Please call to say hi, you can reach us at 831-704-6873. And if for whatever reason we don’t speak by phone or in person this Christmas, I want to wish you and everyone you love a wonderful holiday season, and all the best in the coming year. After all these difficult years just gone by, it is my sincere hope that 2015 will bring peace and prosperity to all, in Aptos and far beyond. Help light up Aptos this holiday season! The Aptos Chamber of Commerce is once again sponsoring the Aptos Holiday Craft Fair and Tree Lighting on Saturday, December 6 from 2:00 to 5:00 PM. The tree lighting and craft fair will be at the entrance to Aptos Village Park, near Kauboi Restaurant. There will be a number of local vendors selling arts and crafts, and there’ll be singing of carols. There’ll also be hot cocoa and coffee, and a special visit from Santa Claus! It’s sure to be a good time to come out and meet your friends and neighbors and spread some holiday cheer.